↑ "Malaya Celebrates, 1959". British Pathé. สืบค้นเมื่อ 2 August 2013. ↑ Ministry Of Federal Territories And Urban Wellbeing. 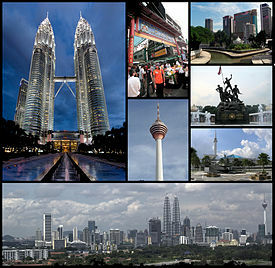 "Overview of Greater Kuala Lumpur". ↑ Helders, Stefan. 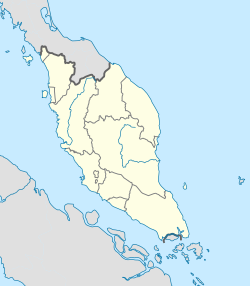 "Malaysia:Metropolitan areas". World Gazetteer. Archived from the original on 5 December 2012. สืบค้นเมื่อ 4 December 2007. ↑ Josh, Krist. 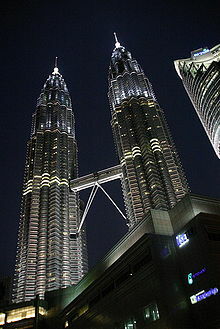 "Kuala Lumpur: The Heart of Malaysia". Meetings AsiaPacific. Meetings Media. สืบค้นเมื่อ 13 December 2007. ↑ "World Weather Information Service - Kuala Lumpur". World Meteorological Organization. สืบค้นเมื่อ January 13, 2013. ↑ "Climatological Information for Kuala Lumpur, Malaysia". Hong Kong Observatory. สืบค้นเมื่อ January 13, 2013. ↑ "Average Conditions: Kuala Lumpur". BBC. สืบค้นเมื่อ January 13, 2013. หน้านี้แก้ไขล่าสุดเมื่อวันที่ 29 พฤศจิกายน 2561 เวลา 12:01 น.